[Wrapped in exquisite faux leather, this elegant journal features high-quality paper with encouraging Scriptures. SPECIAL FEATURES: exquisite faux cover with heat stamping, high quality lined paper, encouraging Scriptures, ribbon marker, personal information page, and elastic band. Write Journal: From The Heart, Pink Flowers (Magenta) by Belle City Gifts was published by Belle City Gifts in April 2018. The ISBN for Write Journal: From The Heart, Pink Flowers (Magenta) is 9781424556311. 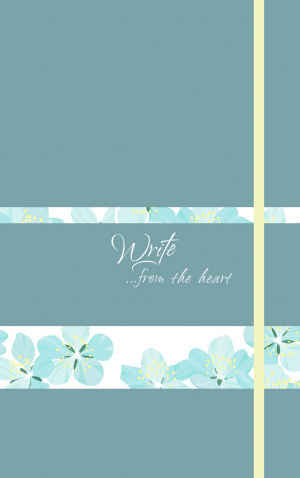 Be the first to review Write Journal: From The Heart, Pink Flowers (Magenta)! Got a question? No problem! Just click here to ask us about Write Journal: From The Heart, Pink Flowers (Magenta).